On August 27, 2016, start up of Salochki amusement fountain was held in Orenburg. 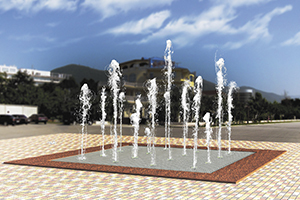 Our new fountain is situated in the Peter the Great square on the Champ de Mars. Its opening was held within the City Day celebrations. Special program changes the height and power of jets, so the play of light complements by dance of water streams. Fountain opening completed the reconstruction of Peter the Great park.